Saqib Saleem is an Indian actor and freelance model from Delhi, India. 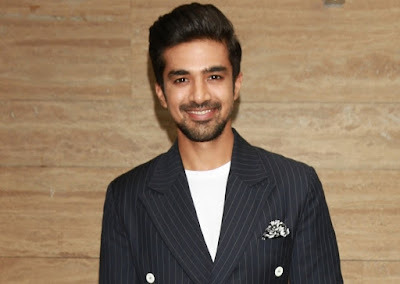 Learn more about Saqib Saleem's wiki age wife girlfriend sister family caste and biography details here. Saqib Saleem was born on 8th April 1988 (30 years old; as of 2018) to Saleem Qureshi and Ameena Qureshi in Delhi, India. He has a sister named Huma Qureshi, who also happens to be an actress. According to media reports, he is not dating someone. He is a cute looking actor and is a crush of many girls. He is 5ft 9inches tall (175 cm) and weighs over 73Kg. He has 38 inches chest, 30inches waist with 13inches biceps. His recent film Race 3 movie is doing well on the box office though he takes part as a co-artist with Salman Khan. Saqib Qureshi did his schooling from Delhi and goes to Hindu College for higher studies. He always had an interest in acting and cricket. he used to take part in school dramas and cultural programmes. Saqib Saleem started his career with Cricket playing for Delhi and Jammu & Kashmir. After moving to Mumbai, he started doing television advertisements for brands like Pepsi, Lays (with actor Ranbir Kapoor), Tata Docomo, Bar One, KFC, Airtel, Sprite and others. After eight months of auditioning, he debuted in a lead role in Mujhse Fraaandship Karoge movie in 2010. Saqib Saleem appeared in Mere Dad Ki Maruti in 2013. Saleem's next role was of a cricketer in the action thriller Dishoom (2016), with Varun Dhawan, John Abraham, and Jacqueline Fernandez. After this, he worked in Race 3 directed by Remo D' Souza also starring Salman Khan, Jacqueline Fernandez, Daisy Shah, Anil Kapoor.